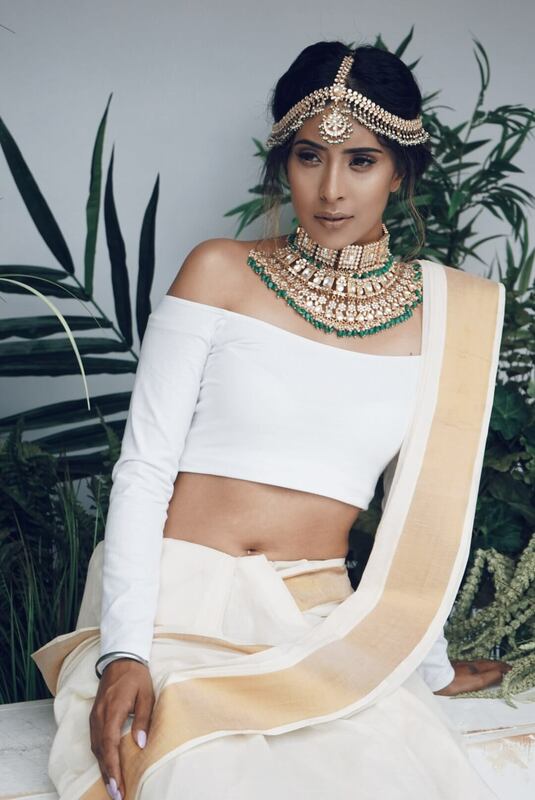 With a massive social following that seems to be growing every day, you might already know the name: Sandy Gill AKA TheSandyLion, or Esskayji. 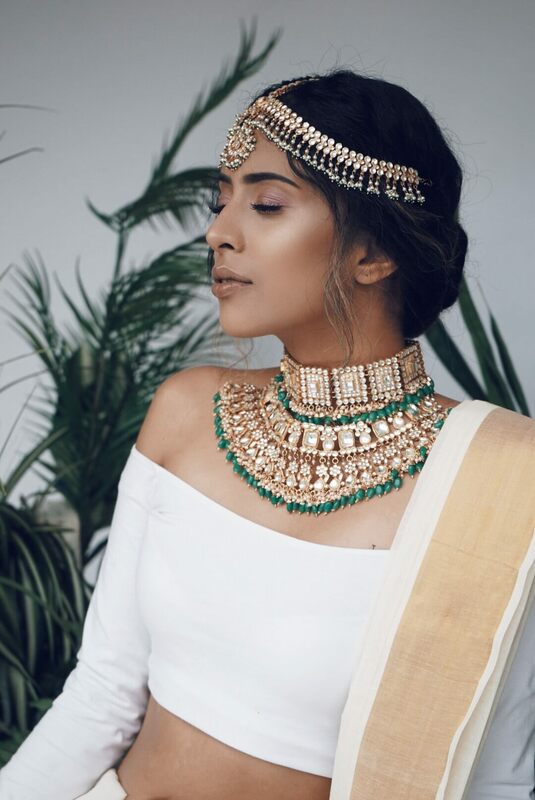 We had the privilege of sitting down with Sandy and getting her take on everything from the hustle it takes to build a personal brand to styling tips for those tricky South Asian ensembles. First, let’s get to know a little bit about the girl behind the brand. Within minutes of our introduction, one of the first things that became clear was that Sandy is an educator- in every sense of the word. With a Masters of Education, she pursued teaching and continues to do so. But her passion for education doesn’t start and stop with school hours. 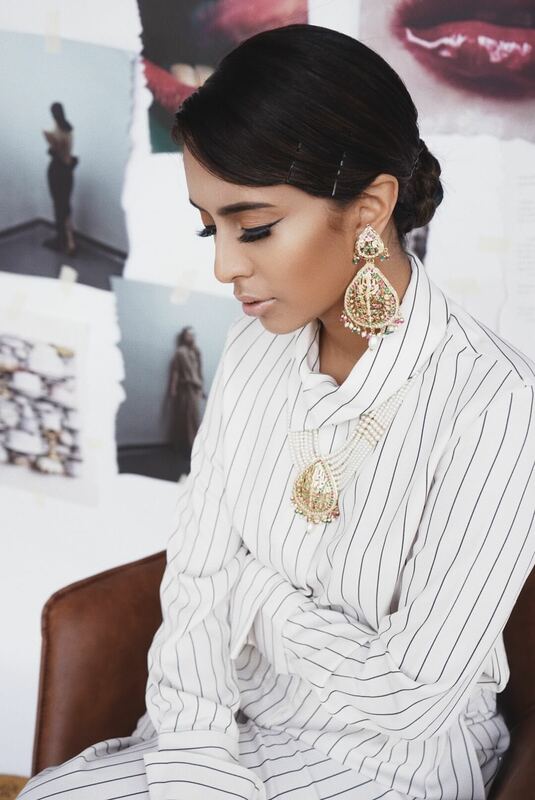 Her other form of education comes in the form of teaching fashion to the masses via her (wildly popular) styling videos. At the time of writing this, TheSandyLion has over 90k followers on Instagram, and we seriously doubt that number will be slowing down anytime soon. It’s interesting enough that a single person can sport the title of school teacher and stylist so interchangeably and well, but her story makes it even better. Sandy didn’t shy away from telling it like it was. After being bullied in highschool, she leaned into fashion as a form of self-expression. Through fashion, as she discovered, she could become whoever she wanted to be and that naturally boosted her confidence. Later, as her passion for fashion continued to grow, it helped to have encouraging friends. Yes, Superwoman. Oh, and Humble the Poet, too. Her close friendships with them were the kind that uplifted her. In fact, Superwoman encouraged her to post her pictures online and see where they take her. While working in a Law Firm to pay for her Masters, she’d go into the bathroom every day and take a picture. As it turned out, Superwoman’s advice was right on the money. With consistency and providing value to her followers in mind, her social reach grew. 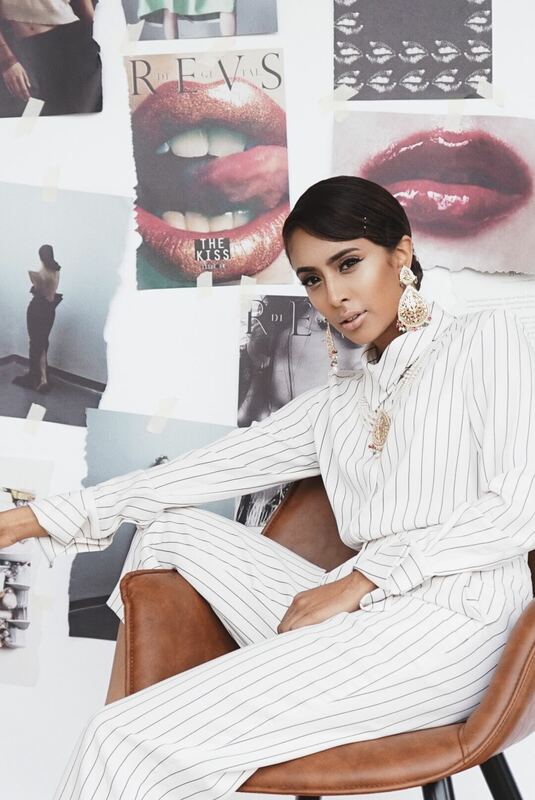 As she continued to adapt her content to her audience with the intent of maximum value, she slowly trickled into styling red carpets, personal styling, closet revamps and the works. Her earliest memories of fashion were going into her Mom’s closet, trying on her lipstick and making chunnis into dresses. While that probably got her into a bit of trouble, it was just the beginning of her creative eye. As she grew older, one of her biggest fashion motivations became her Dad. Those thoughts always stuck with her and were a chip on her shoulder. But, more importantly, she noticed that even though people tried making him feel bad about it, he would continue to show up and dress up. That became one of Sandy’s primary reasons to explore fashion. She stresses that you don’t have to be over the top (as is often expected! )- instead South Asian girls should figure out what they feel happiest in and go all in on that. Sandy believes developing your own personal style on comfort and happiness will build confidence. As ambitious as ever, Sandy is looking to the future and hoping to soon work on a clothing line, possible street wear, possible fusion Indian (we’re pretty excited either way). And of course, she wants to continue teaching and working with the community, keeping in mind that she’s a teacher both inside her classroom and to her followers. You can follow Sandy on Instagram here, and if you want to inquire about fashion styling- whether it’s a wardrobe revamp or for a wedding- you can reach out here. Thank you TheSandyLion for being so generous with your time and advice for our readers.